Aspen Healthcare Services > What is Home Health Care? Home healthcare assists a person in their recovery from an illness, accident, surgery, or change in their medical condition. Professional health care and rehabilitation services are delivered in a person’s home under the direction of their personal physician. 1. Nurses serve as your case managers. 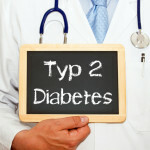 They may also administer medications, change dressings for wounds, and monitor vital signs, weight, or blood sugar. 2. Physical, occupational, and speech therapists help with improving balance, coordination, strength, swallowing, and home safety. 3. Medical social workers help you cope with your illness and may refer you to community resources. 4. 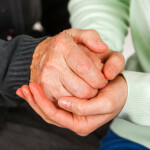 Home health aides provide companionship and help with personal services. 5. Home healthcare agencies also provide medical equipment if needed. 6. They communicate with your primary care doctor to coordinate your care. 7. They come a few times a week for a short time (30 to 120 minutes per visit). Because it is not always clear to the average person when an ailing senior needs home healthcare or when he or she needs nursing home care, it is usually best to consult a medical professional for advice. Often when physicians or hospital staff say “Home Health,” they mean that the skills of a healthcare professional, like a registered nurse or therapist, are still needed after your hospitalization to provide continued assistance with your recovery. This might involve continuing intravenous antibiotics, drawing blood, assessing a surgical site, changing wound dressings, assisting you with mobility, assessing your progress, or providing other services that your physician has ordered. We are also able to consult on the importance of Home Automation, to assist with basic things around the home – such as controlling the lighting, or even making a coffee through an app. There are companies in the community, called home health agencies, which employ nurses and therapists who specialize in providing services in patient homes. These healthcare professionals will come to your home for a specific time period as specified by your physician (for example, twice a week for eight weeks). They report your status to your physician on an ongoing basis. Home health nurses and therapists become your link to your physician so that he or she can stay aware of your condition and be notified promptly if you require additional care or attention. The home health staff provides and helps coordinate the care and/or therapy your doctor orders. With instructions from your doctor, home health staff creates a written plan for your care. It outlines which services you will need to keep a state of physical, mental, and social well-being. The home health staff keeps your doctor up to date on how you are doing and updates your plan of care as needed, as authorized by your doctor. While you receive home healthcare, home health staff teaches you (and your caregiver) to continue any care you may need, including medication, wound care, therapy, and stress management. Since most home healthcare is intermittent and part-time, you (and your informal caregivers) should learn how to identify and care for possible problems, like confusion or shortness of breath. 1. In many cases, home healthcare services may be appropriate to prevent an individual from being hospitalized. 2. Most patients and their families prefer to stay at home rather than be placed in the hospital or skilled nursing facility if their condition allows them to remain at home. 3. Home healthcare is usually less expensive and in some cases just as effective as care in a hospital or a skilled nursing facility. Home healthcare helps a patient recover from an illness, accident, surgery, or change in his or her medical condition. Professional healthcare and rehabilitation services are delivered in the home environment under the direction of the patient’s personal physician. What Do I Do When the Nurse Arrives?